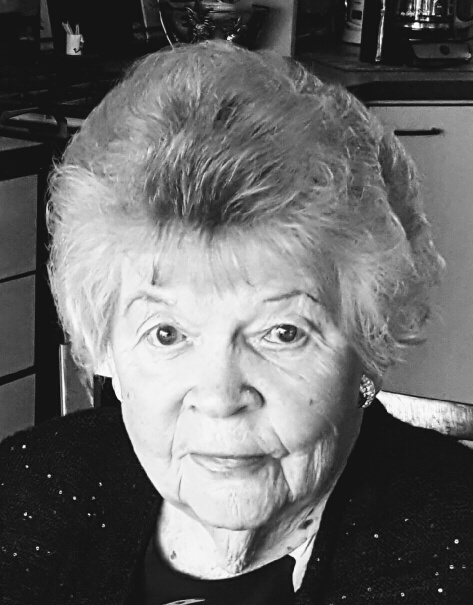 Mrs. Norma Noble Brett, 93, of Morriston, passed away Sunday, October 21, 2018, at her residence in Morriston. She was preceded in death by her first husband George William Bridges, Sr., her parents Fred & Ruby Noble, her brother Freddy Noble, and her late husband H. James “Bo” Brett. She is survived by her son George William Bridges Jr (Elizabeth) of Morriston, Stepsons Mark Brett (Linda) of Lakeland, FL, and Mike Brett (Donna) of Arcadia, FL, and Louis Salvat (Karen) of Mt. Dora, FL. Grandchildren Stacy Bridges Barton (Robert) of Ocala, FL, Sarah Bridges Tingen (Curtis) of Apex, NC, Leah Brett of Washington State, Patrick Brett of Lakeland, FL, and Chance Brett of Arcadia, FL. Her great-grandchildren include Nathan Tingen 18, Logan Barton 15, Dillon Barton 13, and William Tingen 8. Her niece Jeannette Wood of Orlando and Ms. Wood’s son Chuck Heltsley of Orlando. Mrs. Brett was widowed at an early age when her first husband was killed in WWII. She then moved to Orlando to pursue an administrative career where she met and married Bo Brett. Mrs. Brett joined him in his up and coming law practice (Brett & Reynolds) as his Office Manager where she remained active until 2015. Norma had a wonderful life and experienced adventures that many could only imagine. She has enjoyed her retirement at her farm and remained there under the care of her loving Son until her death. Her family has been truly blessed by the wonderful care provided by her Caregivers, Pennie, Julie, and Debbie and they will always remain a part of our family. Mrs. Brett loved her family and adored her grandchildren. She was very strong and always encouraged the children to never settle for average, but to strive for the best they can be. Over the years she was a magnificent cook & hostess and often entertained large gatherings in her beautiful home. She was always so proud to say that she was born & raised in Romeo and so blessed to live the end of her life in her favorite place “on the hill”. Funeral services will be held at 2 PM, Tuesday, October 23, 2018, at Roberts Funeral Home, 19939 E. Pennsylvania Ave., Dunnellon, with Pastor Eddie Fulford officiating. The family will receive friends from 1 PM until service time. Interment will follow in the Hickory Springs Cemetery in Romeo.